Who else out there is so ready for the weekend!? I definitely am! 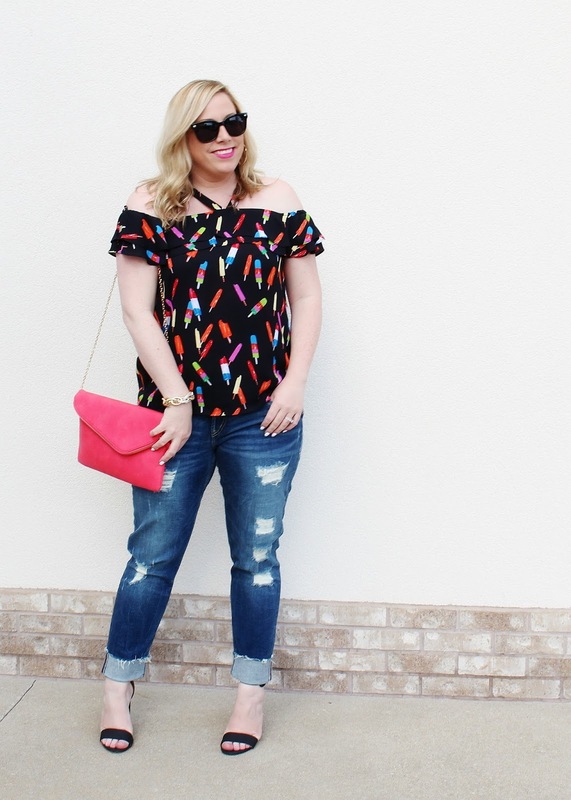 So I put this Popsicle Print top on and grabbed a bright purse to celebrate the first weekend of Summer in style! It has been a some-what cloudy rainy week and the sun is finally shining and looks like the weather is going to be just about "picture perfect" for this Memorial Day Weekend. Whoohoo!!! I'm looking forward to spending some much needed time with my husband and family. We've got golf, cooking out, and quality time with my grandparents planned for the three day weekend and I'm so excited! Memorial Weekend is the official kick-off to Summer and to celebrate almost every store at Summit Fair has an amazing sale going all weekend long! 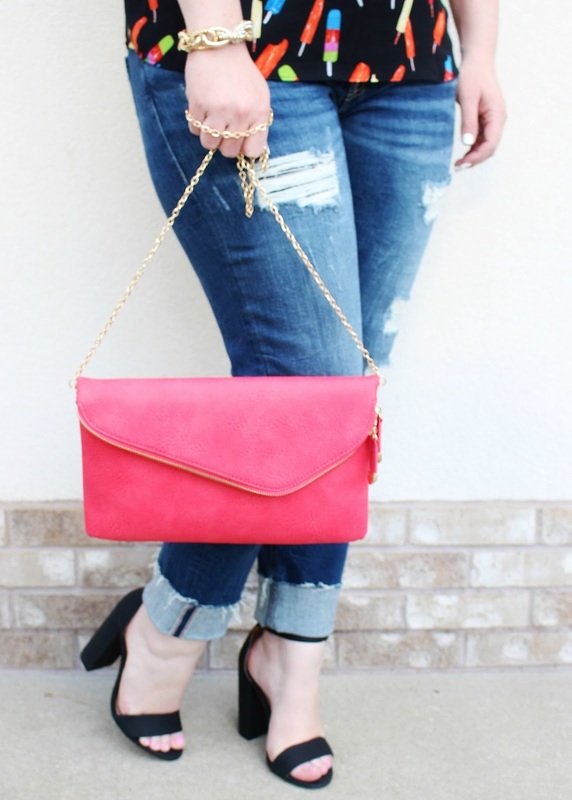 I've rounded up a few of the best sales below to get you started on your summer shopping! 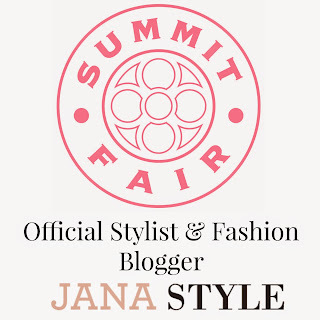 Summit Fair Memorial Day Sale Roundup! Buy One Get One 50% Off Storewide! See Sales Associates for details. Memorial Day Sale Items up to 75% Off! Get $5 in Macy's Money for Every $25 you spend! Up to 50% off Summer Styles! EXTRA 20% off Clearance Markdowns! $10 Off When you Spend $25! 20% off when you use your JCP Credit Card. We are only giving this to the first 25 people who make appointments. Call (816) 554-0224 now to set up your appointment! Shop this look by visiting the stores at Summit Fair! 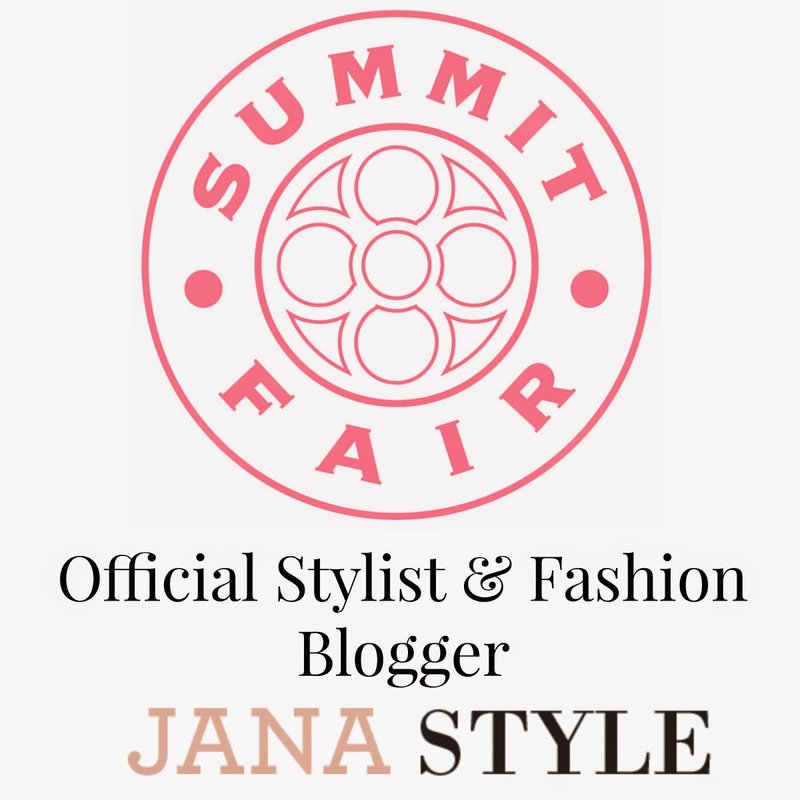 This blog post is a part of a partnership between Jana Style LLC. and Summit Fair. All opinions are my own. I saw this top at Macy's! You look great in it. And thank you so much giving us a list of all the sales coming up for this weekend. Hey Cristina! So glad you love it! Hope you had a great MDW! This skirt is absolutely so much fun! It's also so great for summer. Hi Cara! Thanks girl! Have a great week! Hey Sam! Thanks so much! It's a fun print, Hope you had a great weekend! 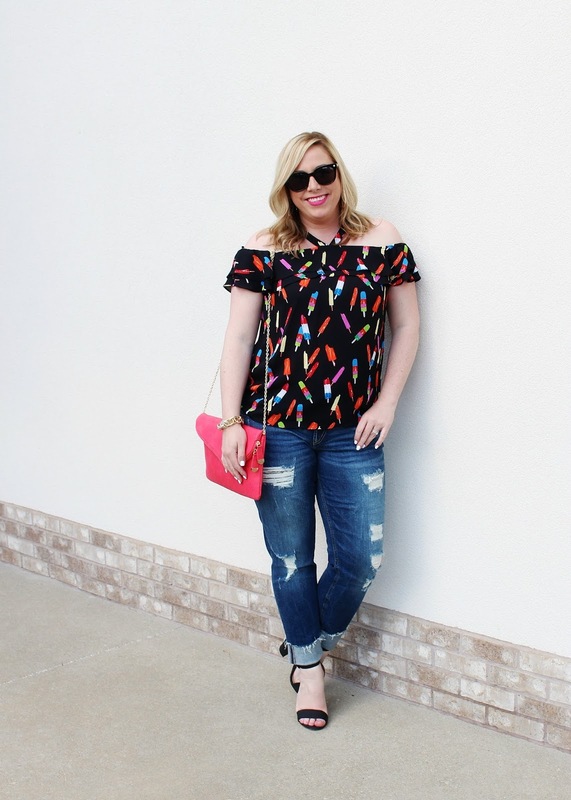 I love the print on your top! Enjoy the Memorial Day Weekend! 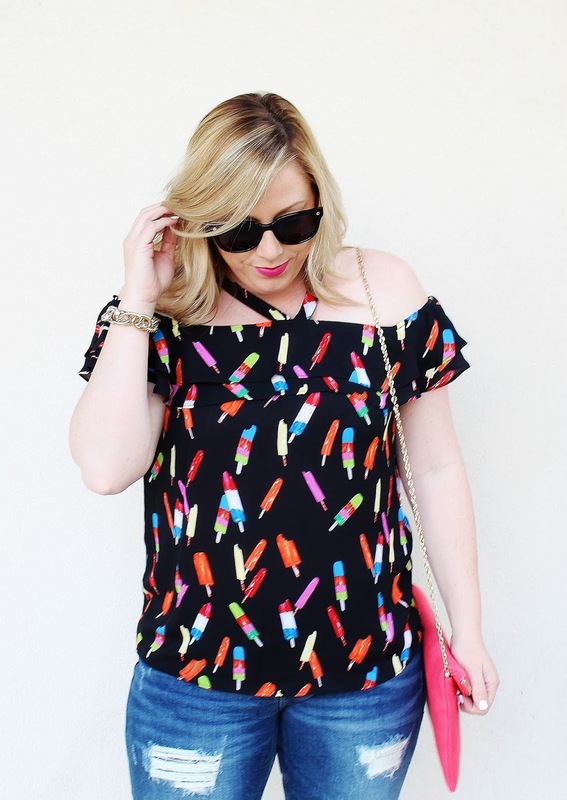 Such a cute top! And I'm loving the shoes! Hi Linda! Thanks so much! Enjoy your week! 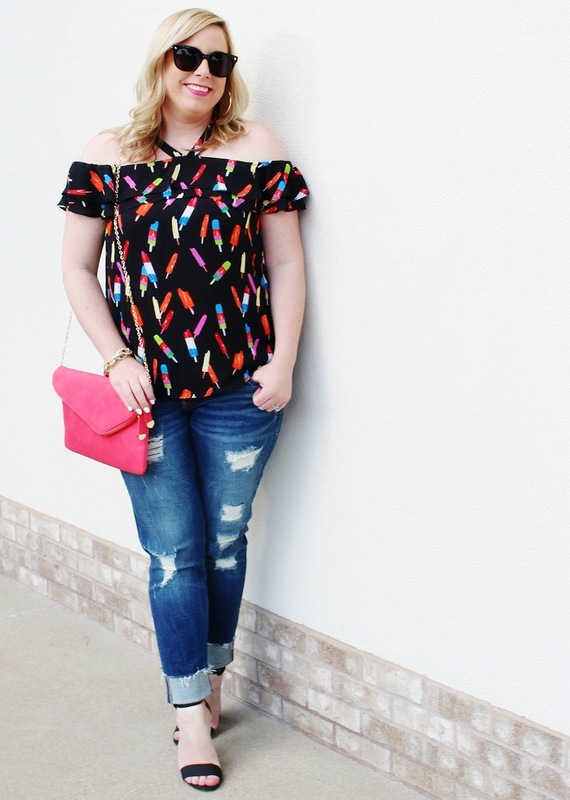 This is such a fun print for summer! You picked a great Memorial Day outfit girl!! I love this top! This is seriously the cutest! 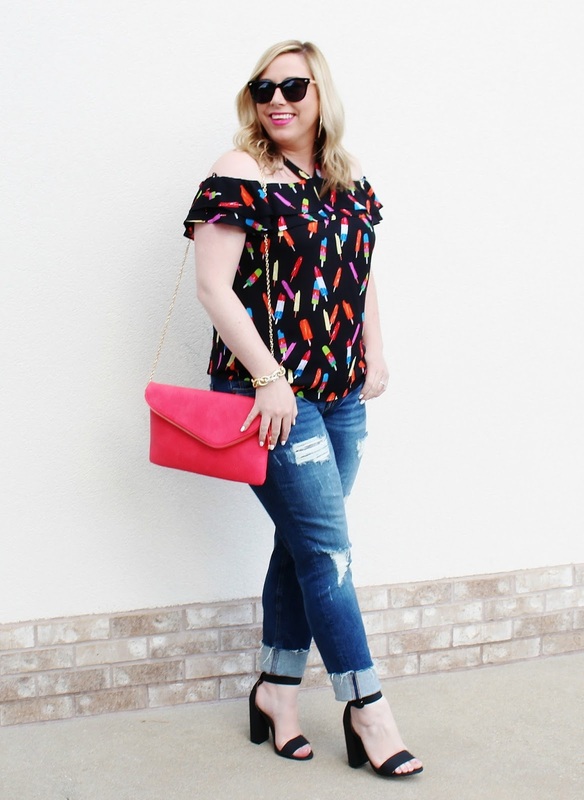 That top is just darling! 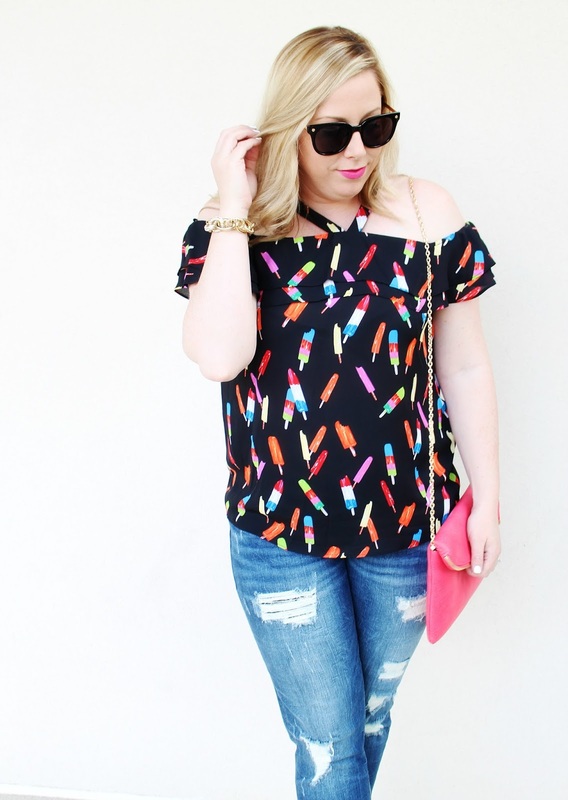 I love the fun popsicle print!